Bhutan offers an endless amount of adventures both in trekking in the Himalayas, some of the best-preserved temples and monasteries the world´s, most of them constructed traditionally completely without the use of any nails. 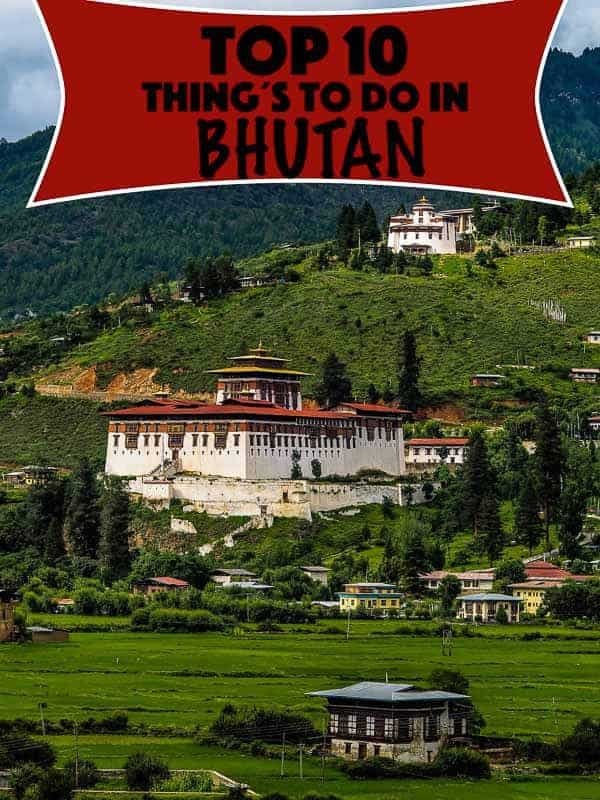 In fact, Bhutan got some much to offer, but here are the top 10 Things To Do In Bhutan, if you’re lucky to visit this fantastic country. Luckily still mostly untouched by tourism. 1. Be a stranger in a rural village. Rural villages in Bhutan still continue to practice age-old customs and traditions and uphold traditional values more than the people in the urban towns. People in rural communities are incredibly kind and hospitable towards visitors. 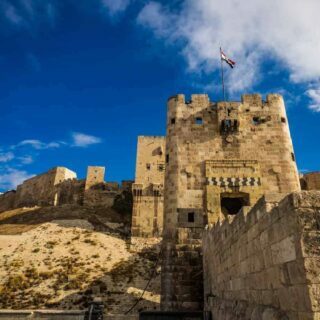 You will not only get to interact with locals and listen to their stories but also indulge in their customs, food, games and farming activities. If you have the time, plan to spend a night. 2. Bow down to the magnificence of Punakha Dzong. Of the many dzongs (fortresses) in Bhutan, Punakha Dzong is a must see. It is generally recognized as the most beautiful dzong in the country, with its ornate wood carvings and intricate paintings. In spring the lilac-colored jacaranda trees bring a lush sensuality to the dzong’s characteristic towering whitewashed walls. 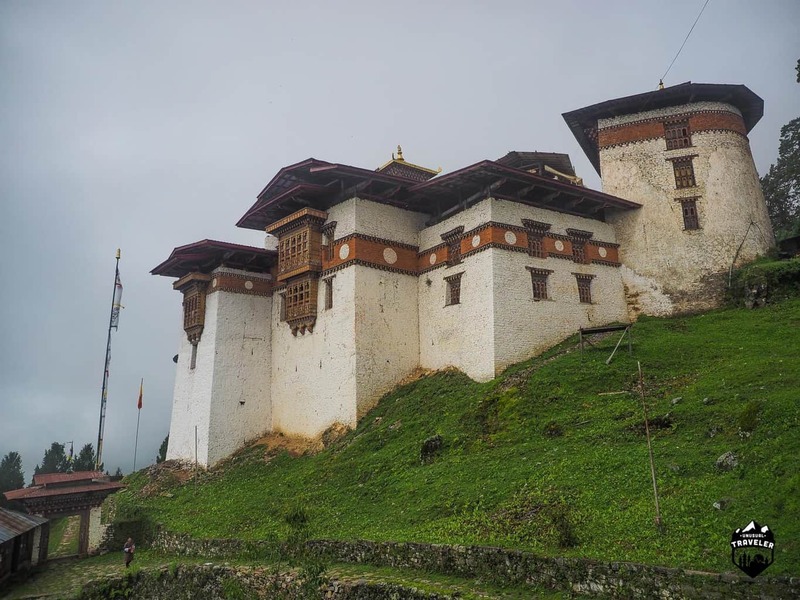 This Dzong was the second to be built in Bhutan, and it served as the capital and seat of government until the mid-1950s. All of Bhutan’s kings have been crowned here. This dzong is still the winter residence of the Dratshang (official monk body). Aside from its structural beauty, Punakha Dzong is also notable for containing the preserved remains of Zhabdrung Ngawang Namgyal, the unifier of Bhutan, as well as a sacred relic known as the Ranjung Karsapani. This relic is a self-created image of Avalokiteswara that miraculously emerged from the vertebrae of Tsangpa Gyarey, the founder of the Drukpa School when he was cremated. While you’re in Punakha, another great site to visit is the Temple of Drukpa Kinley the Divine Madman, where you can receive blessings from a wooden phallus, famously known for helping couples without children conceive. Punakha valley also boasts a pleasant climate with warm winters and hot summers, making it an ideal respite from the colder valleys of Bhutan. 3. Immerse yourself in the local festivity. Tshechus are cultural festivals and grand events where entire communities come together to witness religious mask dances, receive blessings, and socialize. 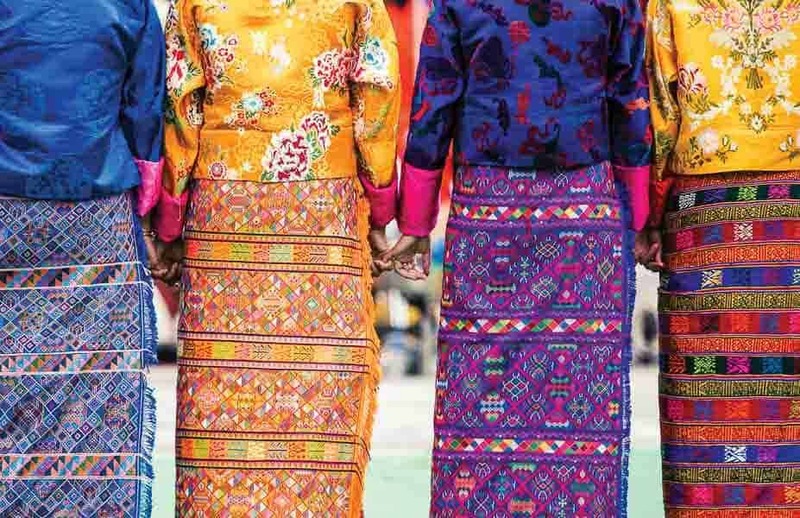 People come dressed in their finest Bhutanese attire made of expensive hand-woven textiles with intricate designs to witness the mask dances and colorful traditional folk dances. 4. 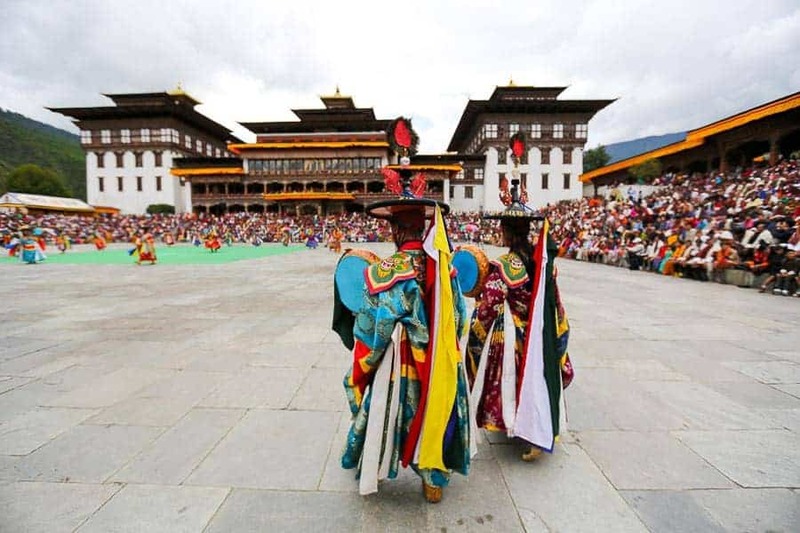 Dance with Nomads at the highest settlement in Bhutan. The Royal Highland Festival is a nomad festival which takes place at 3800 meters in Laya, the highest settlement in Bhutan. Driven by the underlying goal of making the Highlands a vibrant and thriving economy, the festival aims to promote the sustainable livelihood of the Highlanders, showcase the Highlanders’ innovation, and exhibit the highlands as a pride of Bhutan. The festival brings together highlanders from various parts of Bhutan to exchange values, knowledge, skills and best practices related to highlands and yak farming. The festival showcases yaks in traditional decorations, traditional poem recitations, horse races, local traditional crafts exhibitions, photo exhibitions, mastiff (dog) exhibitions, strongman contests, and cultural programs and dances. If you’re feeling adventurous and provided you are fit; you should take this chance to participate in the Snowman Run, a 2-day marathon. In Laya, you will also get the opportunity to interact and absorb the culture and customs of the Layaps. While you are at it, go take a hot dip in the Gasa Hot Spring. The medicinal properties of these hot springs have been used by the Bhutanese people for centuries to cure various ailments ranging from arthritis to body aches and even sinusitis. 5. Introduce yourself to the 13 traditional arts and crafts of Bhutan. If you are somebody who is fascinated with arts and crafts, then the Institute of the traditional 13 arts and crafts in Thimphu is the place for you. This is the institute from where young Bhutanese acquire the skills that decorate Bhutan – building architecture, textiles, jewelry, and everything in between. These arts and crafts have been practiced since the 15th century in Bhutan and were formally categorized into the 13 traditional groups towards the end of the 17th century. Passed down from generation to generation, studying these arts and crafts today involves an intensive 4-6 years of training at the Institute. The great thing about visiting the National Institute of Zorgi Chusum (13 arts and crafts) is that you can walk in while the classroom is in session and not only spectate and take pictures of the students working on their art or craft, but even ask questions and interact with the students and teachers of the institute. A little bit of cultural exchange in itself, and is that not one of the reasons we travel? 6. Throw insulting chants at an Archery tournament. The traditional form of the game is played using bamboo bows and arrows as much as with the world’s most expensive hunting archery equipment. The top archers command nationwide respect and adoration while key match-winning exploits become the stuff of legend. Teams will often consult astrologers and shamans in hopes of securing a victory. Before a match begins, even the direction from which the teams approach the range is determined by such ‘seers.’ A great deal of the occult practices and secret rituals are almost necessary precursors to important matches. You will get to see, however, that actual performance on the field is a more exact science of skill and poise. Yet the Bhutanese consider archery a test of manhood. It is standard practice for players to consume copious amounts of alcohol throughout a match, with lavish coaxing by opponents. At the same time, opponents and their women cheerleaders will throw constant teases, taunts, and insults. Against this barrage of stimuli, a player is expected to keep his cool and shoot well. 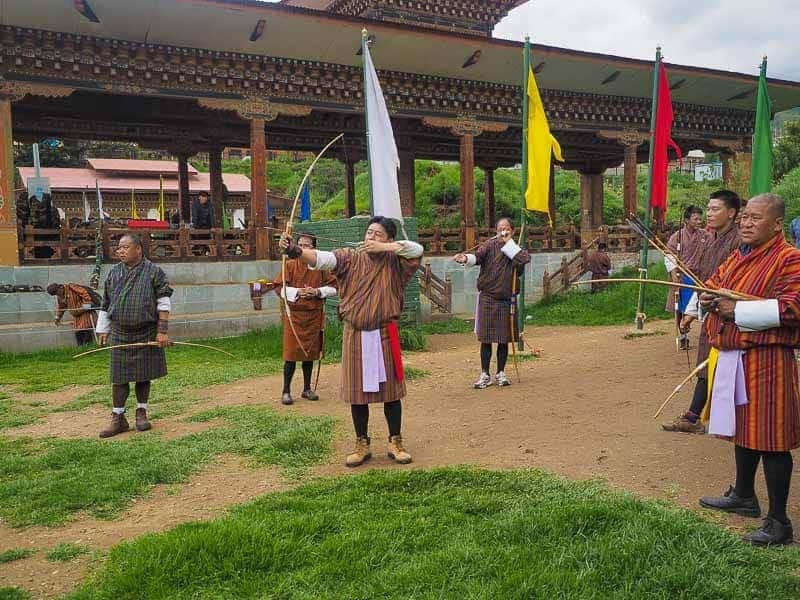 In Bhutan, archery is truly much more than just a sport. 7. Hike the Jomolhari Laya Gasa Trek. The Jomolhari Laya Gasa Trek is considered by trekking guides to be one of the most scenic treks in Bhutan, offering incredible views of some of the most pristine and unspoiled landscapes in Bhutan. This fourteen-day, 217 km journey begins at Drukgyel in Paro and takes you through gorgeous alpine meadows, high mountain passes, and dense sub-tropical jungles before terminating in Damji in Tashithang, Gasa. Along the trail, you’ll be able to spot indigenous animals such as blue sheep and Takins, the national animal of Bhutan. 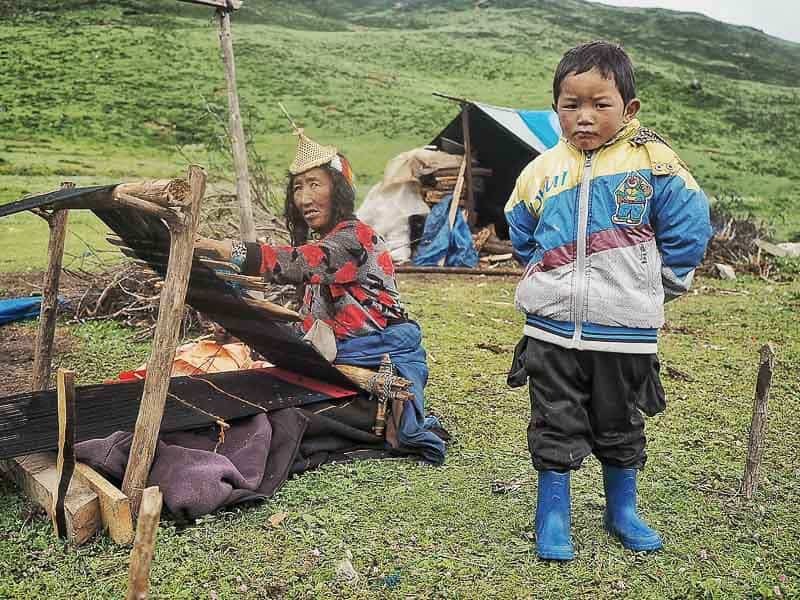 You’ll travel through remote mountain villages inhabited by Layaps (people of Laya), who are a distinct segment of the Bhutanese society with unique culture, traditions, and appearance. This is one of the more difficult treks offered in Bhutan due to the high altitudes and steep ascents and descents along the path. The best seasons to complete this challenge are in April-June and Mid-September to Mid-November. There are ways to shorten this trek if 14 days is a little too long for you. Planning a trip to Bhutan? So can I highly recommend Breath Bhutan travel agency. The Draying’s are a uniquely Bhutanese experience – with girls dressed in Kiras (national dress) who will sing and dance to whatever song you request for. Bhutanese whiskey is loved by every visitor, including the cheap but very popular Special Courier and Bhutan Highland whiskey by the Army Welfare Project. You can buy the Special Courier at US$ 5 dollars a bottle (750 ml) from a convenience/grocery store. Bars and clubs may add a premium on every shot you buy. As for beer, there are many kinds to choose from. The most popular is Druk 11000 (strong beer) which is enjoyed by locals in every corner of Bhutan. 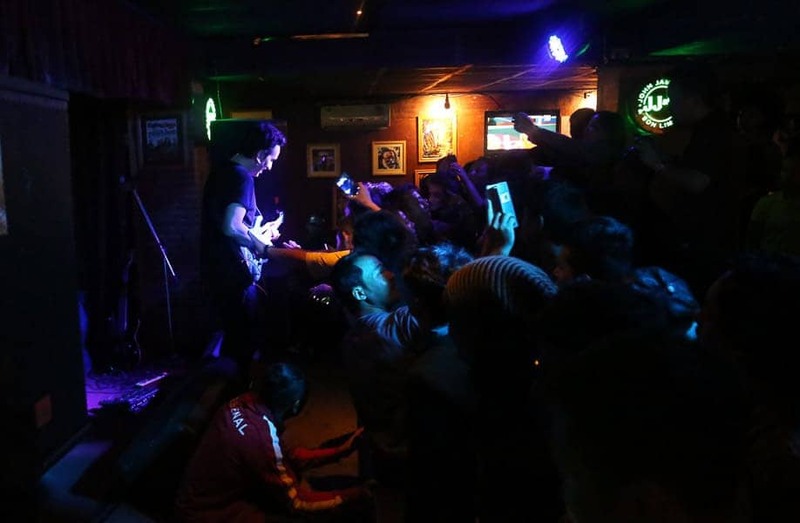 You can also try out the craft beers from three microbreweries in Bhutan, which offer selections of Amber Ale, Stout, IPA, Red Rice Lager, and Wheat Beer. 9. Explore the less visited Eastern Bhutan. As an incentive to open and improve tourism activities in Eastern Bhutan the Royal Government of Bhutan is offering a waiver on the Sustainable Development Fee of USD 65 per person per night halt in the following eastern districts of Lhuntse, Monggar, PemaGatshel, SamdrupJongkhar, Trashigang, and Trashi Yangtse. In Tashigang you can find the remote nomad settlement of Merak and Sakteng. 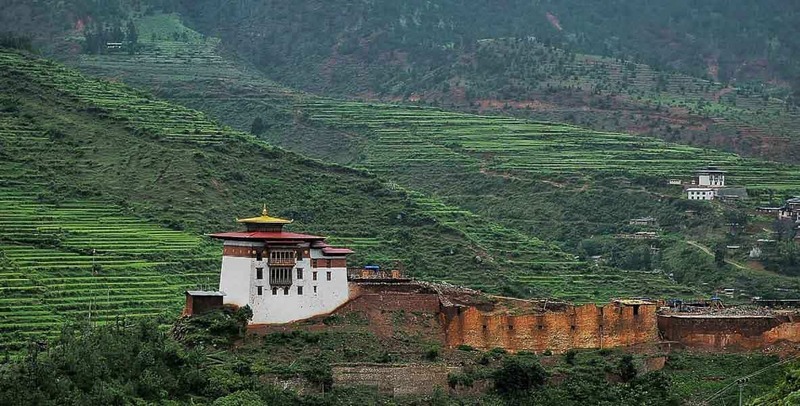 Merak-Sakteng stands out as a distinct attraction in Bhutan. 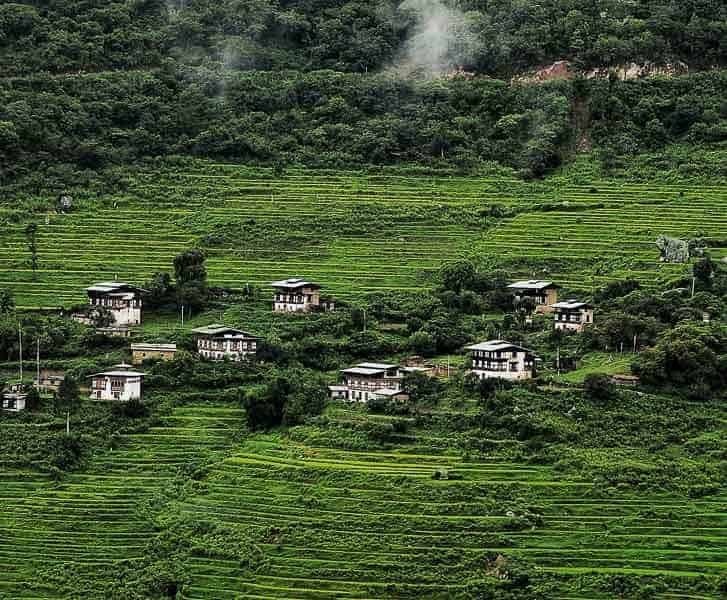 Unlike anywhere else in the country, it offers the visitor the experience of a unique semi-nomadic lifestyle, culture and vernacular in one of the most scenic pastoral valleys in the protected area of the Sakteng Wildlife Sanctuary. You can also choose to do the seven day Merak and Sakteng Trek, which is a moderate trek (between 1,500m and 4,100m) traversing through the semi-nomadic villages of Gengu (3400m), Merak (3500m), Sakteng (2800m), Thakthi (2200m), and Joenkhar (1700m). If you are a textile freak, KhomaVillage in Lhuntse is the place where some of the most famous and expensive textiles are woven in silk and cotton. Khoma village is renowned for distinctive ‘Kishuthara’ weaving, and it is the primary income source of the villagers. Kishuthara is a silk weaving technique with intricate hand laced patterns. It is the most expensive textile in Bhutan and highly sought after by collectors. 10. Tick the Tiger’s Nest. 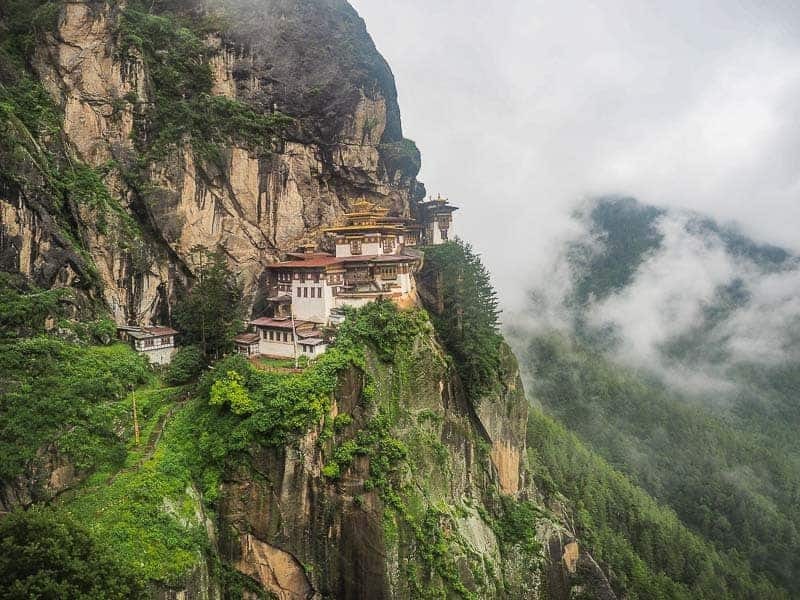 The Tiger’s Nest or Taktshang is the most iconic travel attraction in Bhutan. A google search for ‘Bhutan’ may throw up more images of Taktshang than of anything else. The sight of the monastery, clinging precariously to a cliffside, after an hour and a half’s worth of climbing is a truly awe-inspiring and wonderful sight. Many visitors are known to have broken down and cried at such a moment. Maybe it’s to do with perceiving the fruit of one’s hard labor of having crested the climb. The monastery was first built in 1692 at a cave where Guru Rinpoche meditated in the 7th century A.D. Legend states that Guru Rinpoche flew to the site atop the back of a tigress and meditated in the cave for 3 years, 3 months, 3 days and 3 hours in order to subdue evil demons residing within it. The cave is considered a sacred Buddhist site as many famous saints have traveled to meditate in it. Taktsang Lhakhang is located approximately 10 km north of Paro town at an altitude of 3.120 m. In order to arrive at the temple, visitors must trek for around 40/50minites uphill through beautiful, shady pine forests.